You get a lot as a Waterscape resident. 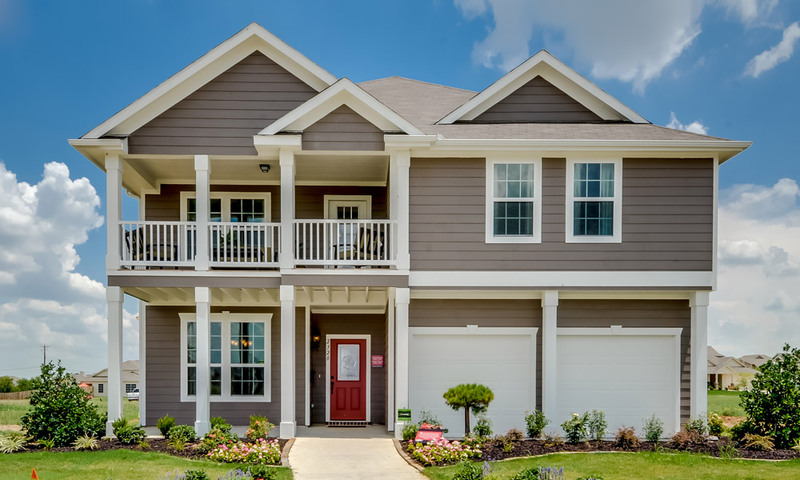 For one thing, you reside in a neighborhood created by Huffines Communities, a developer with a reputation for creating and maintaining unique, one-of-a-kind neighborhoods throughout North Texas . . . and a string of awards to prove it. For another, you live in the newest, growing area, convenient to many of the major employment centers in and around Dallas. 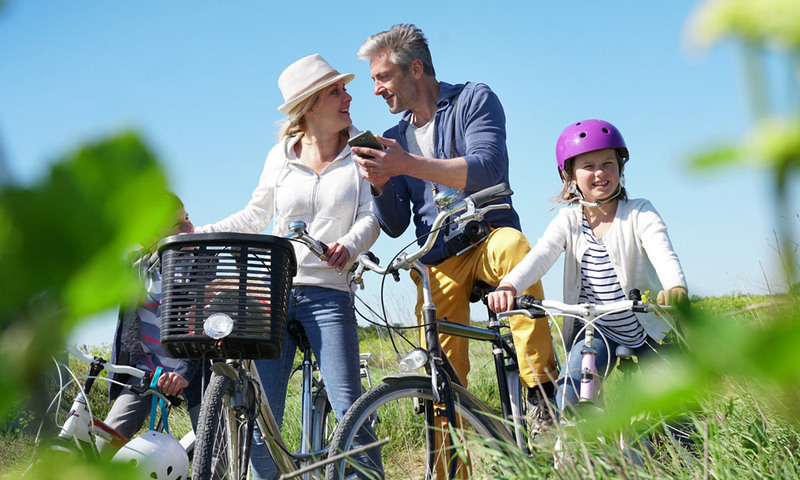 You also have access to beautiful and natural sites combined with plenty of amenities, all within steps of your home. And speaking of that home, as a Waterscape resident, you live in the domain of your dreams, crafted by some of the best-known and most reputable homebuilders in the area. Reputation. Convenience. Beauty. There is a lot to love here. Which is why, when you visit Waterscape, you’ll want to stay awhile. To our Waterscape homebuilders, your home is more than a bunch of sticks set on a foundation. Our award-winning builders understand your home is your life. Armed with that consideration, they create residences guaranteed to fit your lifestyle and needs, as well as one geared to increase in value. Waterscape takes you away from the hustle and bustle of big-city life and immerses you in the quiet and peace of nature. Take advantage of a well-stocked catch-and-release fishing pond. Or perhaps exercise your walking or biking legs on a well-laid-out trail system suffused with all kinds of greenery and natural beauty. Top it off with fun activities at the community center where you can rub elbows with your neighbors, and watch your children grow and play. The Dallas Builders Association’s annual McSam Awards recognize and honor excellence in sales and marketing in the real estate development and homebuilding industry. 2019 is their fortieth anniversary, and Waterscape is proud to be recognized as finalists in three categories: Best Logo and Best Brochure - Developer, both created by our fantastic ad agency Anderson Hanson Blanton, and Best Community Entry Feature created by TBG Partners. Huffines Communities is excited to present our 2019 Realtor Rewards Trip– Realtors on the Rhine: Enchanting European Escape The adventure begins in Amsterdam, Netherlands, and from there we cruise down the Rhine River through Germany with stops in Cologne, Rudesheim, Ludwigshafen, and Breisach. We’ll visit Strasbourg, France before reaching Breisach, and conclude our voyage in Basel, Switzerland. 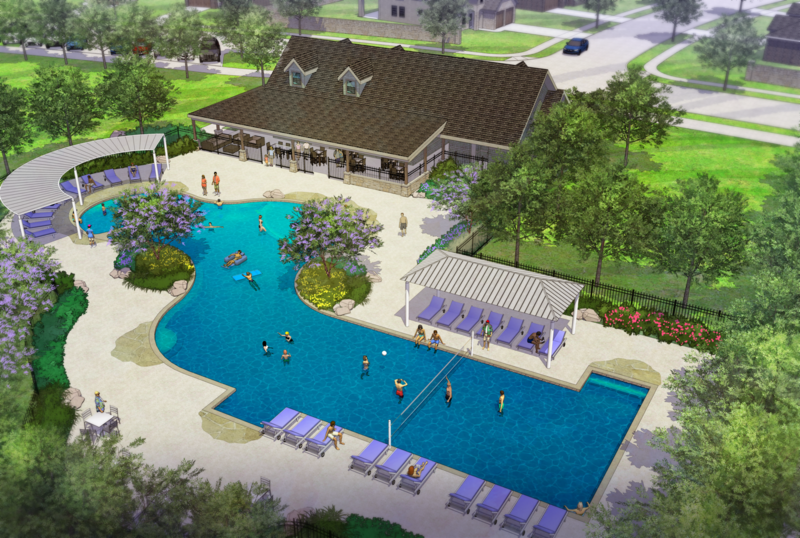 Waterscape is proud to share a beautiful color rendering of our forthcoming amenity center! The 4,000 square feet complex will feature a large resort-style pool complete with volleyball net and children's play area.